all three of my sons were born in the 70's and Where the Wild Things Are was read very often. I still have most of the Golden Books, and other books I read to them. I'm now reading them to my grandchildren and my granddaughter asked me why Where the Wild Things Are is so tattered and I told her because it was so loved. Thank you, Mr Sendak for your great imagination....it's becoming a lost art. Don't know WHY you would equate artists with these killers, although some do regard crime as a sort of art. I don't. And I sure don't see Sendak or Van Gogh as belonging in the ranks of these failed men who killed others. If you grew up in the 70s and read his books, it is like losing a cool uncle. What, no brain-dead liberal educators want to ban his books the way they've done with every non-P.C. or "scary" children's tale extant? Lucky for him the Marxists who run the public schools let him pass. I loved these books and thank you Mr Sendak for bringing it to the imaginations of all children of the world. You touched alot of souls! "Where the Wild Things Are" was the first book I ever owned. My Grandmother gave me a copy of it when I was 4 years old, teaching me not just to read, but to love reading. I can still remember my Gram reading the book to me and acting out the voices of the monsters while they "Roar their terrible roars and Gnash their terrible teeth!" My son was born a little over 2 years ago. His copy of the book was waiting in his room the day we brought him home. His laughter when I act out those same parts of the book is the greatest sound in the world. 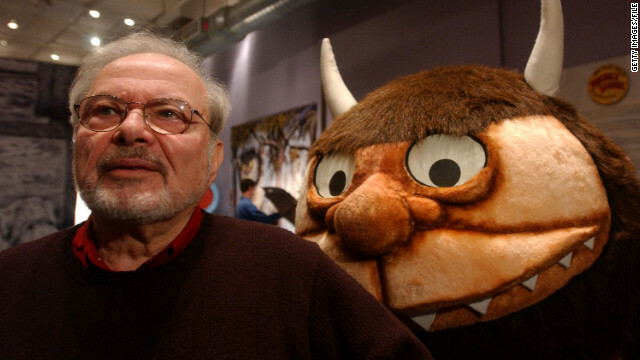 Thank You, Mr. Sendak, not only for inspiring in me a love of reading, but for a lifetime of beautiful memories. My favorite childrens book of all time, also the Little Bear series too were also very cool. My son (when he was younger), loved to read both Mr. Sendak's books & Dr. Seuss' books. Thanks for helping kids learn to read! Maurice: God Bless. Let the wild rumpus begin!!! Very sad. I'll never forget 'Where the Wild Things Are,' or that interview with Stephen Colbert. Its like you learn my thoughts! You appear to grasp so much approximately this, like you wrote the book in it or something. I believe that you simply could do with a few percent to drive the message house a bit, but other than that, this is great blog. A fantastic read. I will certainly be back. You are actually a just right webmaster. The website loading speed is amazing. It seems that you are doing any unique trick. Furthermore, The contents are masterwork. you've performed a magnificent job on this subject! Its like you read my thoughts! You appear to know a lot about this, like you wrote the guide in it or something. I believe that you just can do with a few p.c. to power the message home a little bit, but instead of that, this is excellent blog. An excellent read. I'll definitely be back.